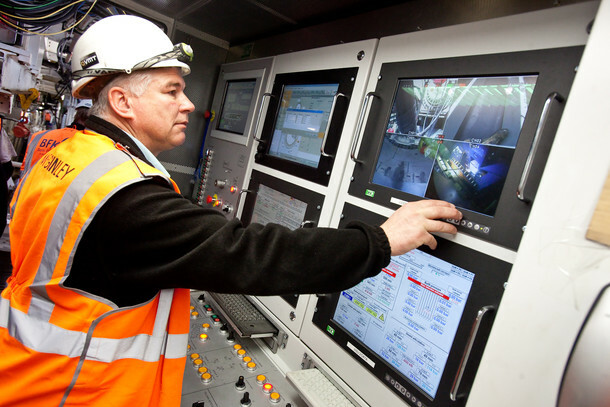 Crossrail’s first tunnel boring machine breaks ground at Royal Oak - Crossrail . For information about the Elizabeth line please visit the Transport for London website. 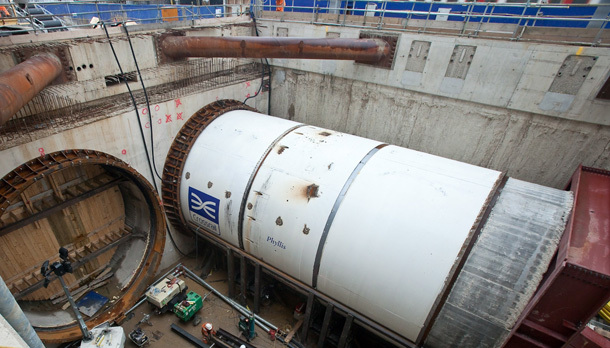 Crossrail’s first giant tunnel boring machine (TBM), Phyllis, has broken ground at Royal Oak to construct the first section of tunnel between Royal Oak and Farringdon. 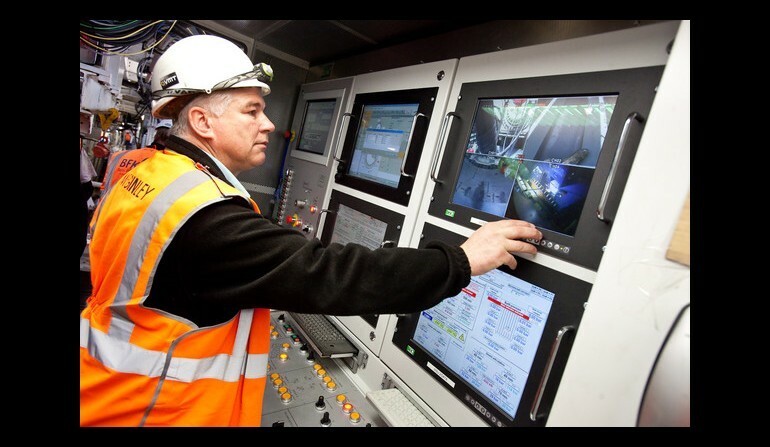 Following the official unveiling of 1,000 tonne Phyllis, Crossrail’s first tunnel boring machine (TBM) travelled 400 metres to Royal Oak Portal including under Hampden Street footbridge which was jacked up to allow the 7.1 metre diameter machine underneath. 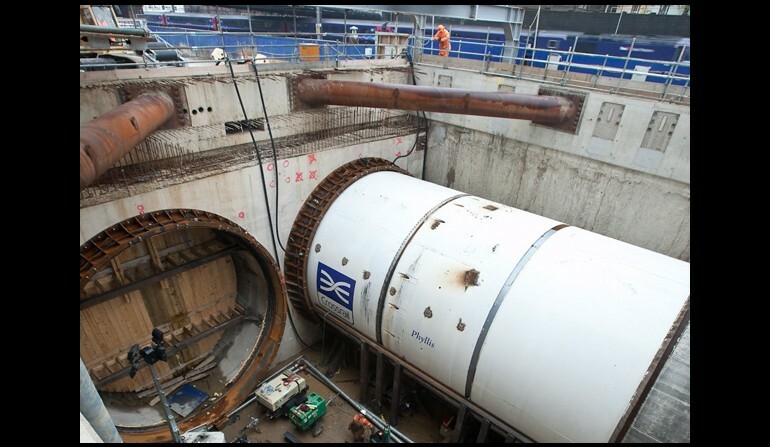 The arrival of the TBM at the portal in mid-March allowed for remaining major works to get underway to support tunnelling. A major piece of work has been the construction of the launch structure which allows the TBM to propel itself forward. 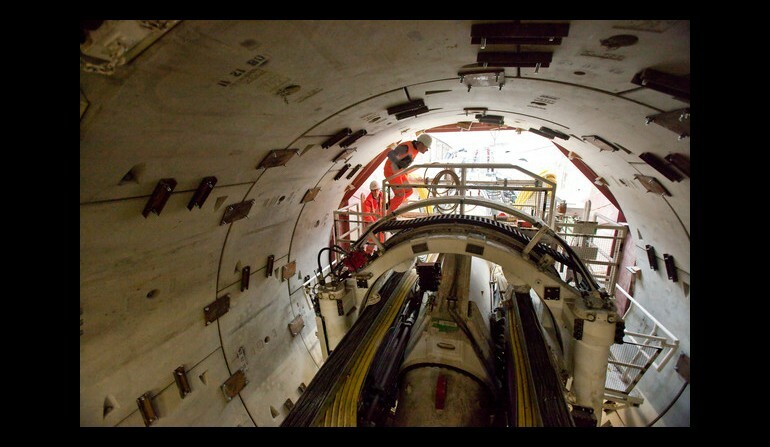 The total force required for the TBM to move forward is equivalent to the force needed to lift over 2,900 London taxis. A steel seal has been fitted around the portal entrance to support the ground during the early stages of tunnelling. 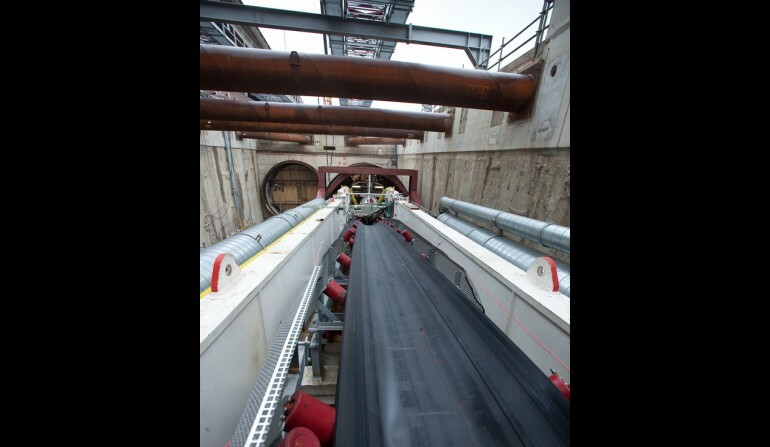 Work has also been underway to install the major conveyor system behind the TBM to remove more than one million tonnes of excavated material from the cutter head to the portal entrance. 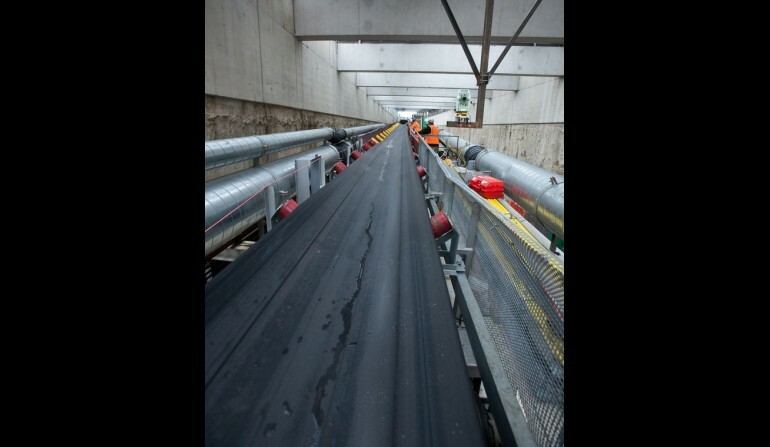 A total of 24 kilometres of conveyer belt will be used to construct the western tunnels. Rail sidings have been constructed to allow freight trains to access Westbourne Park to transport the excavated material to Northfleet from where it will be shipped to Wallasea Island to create a nature reserve. A narrow gauge railway has been also laid to provide for small locomotives to transport materials and supplies into and out of the tunnel. 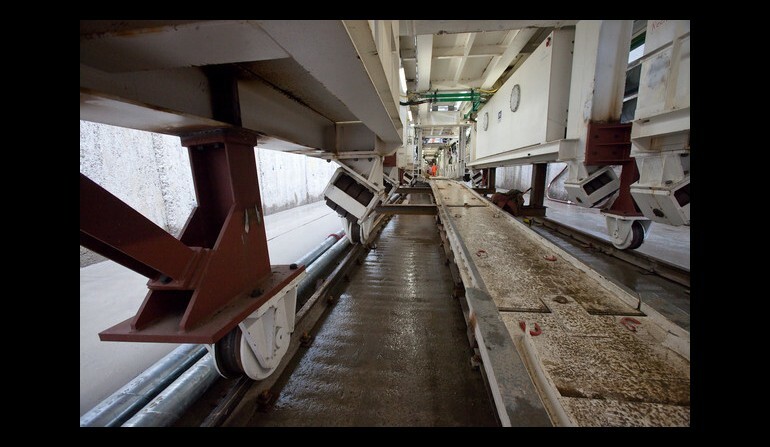 Work has also been continuing at the Old Oak Common concrete segment plant. 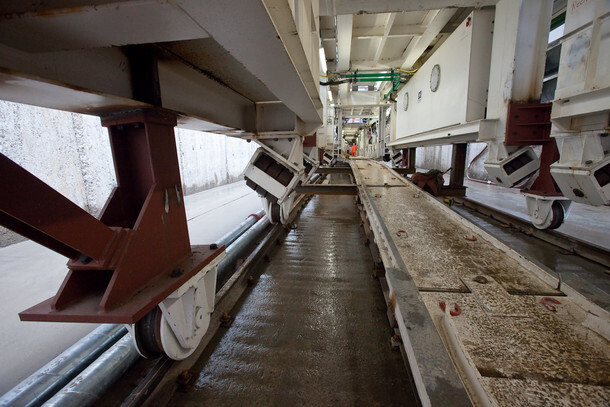 Over 8,000 segments have now been produced and stockpiled for the western tunnels. 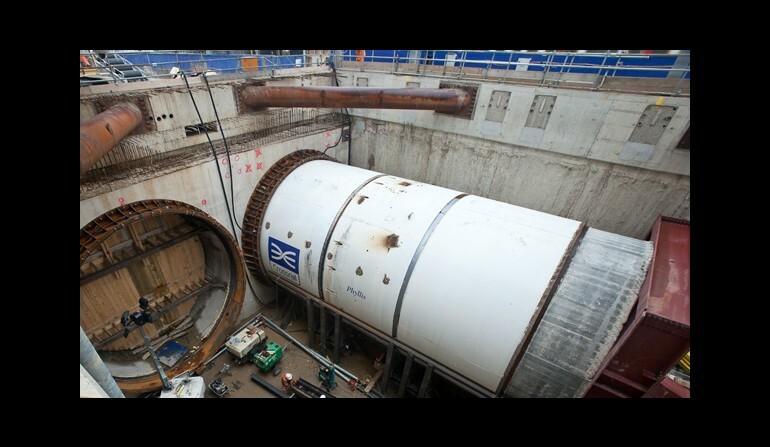 A further tunnelling machine, Ada, will subsequently be launched from Royal Oak. 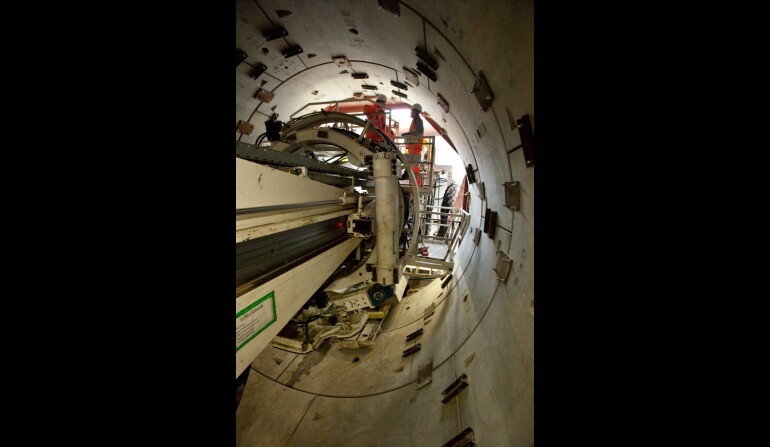 Once the first machine has progressed sufficiently, the second tunnel boring machine will be brought down to the portal headwall. 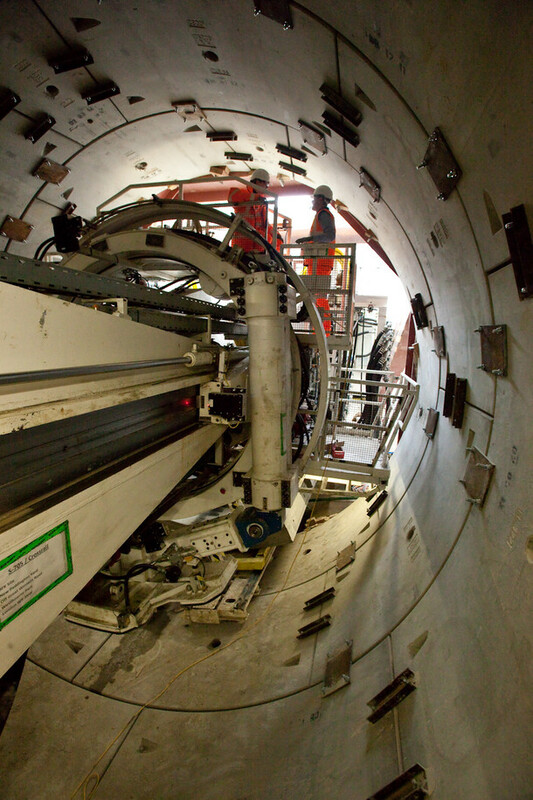 When the second tunnel boring machine has reached Paddington, both machines will then progress forward through the Paddington station box to Bond Street and then onwards to Farringdon. 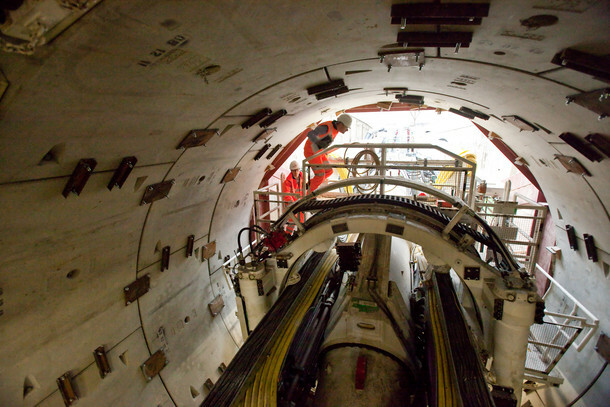 The tunnels between Royal Oak and Farringdon will be completed in late 2013. A major piece of work has been the construction of the launch structure which allows the TBM to propel itself forward. 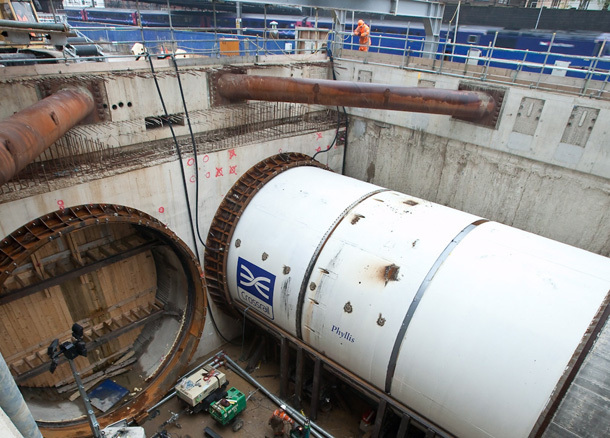 The total force required for the TBM to move forward is equivalent to the force needed to lift over 2,900 London taxis. 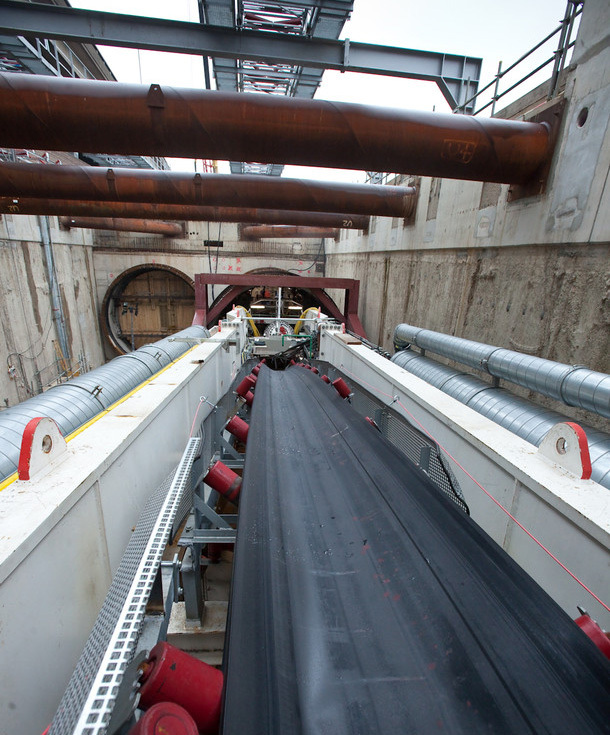 Work has also been underway to install the major conveyor system behind the TBM to remove more than one million tonnes of excavated material from the cutter head to the portal entrance. 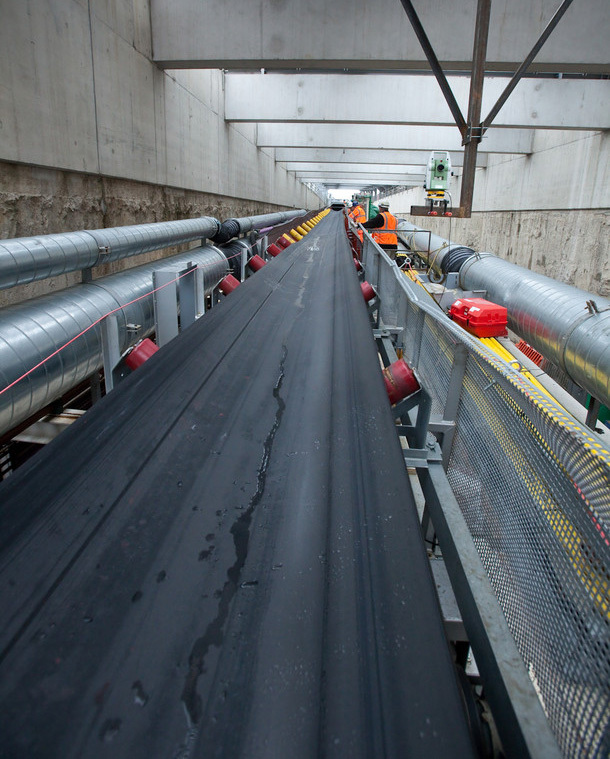 A total of 24 kilometres of conveyer belt will be used to construct the western tunnels.